Joining in with My Little Drummer Boys and Faith Hope & a whole lotta Love. corner shop for mum and dad. 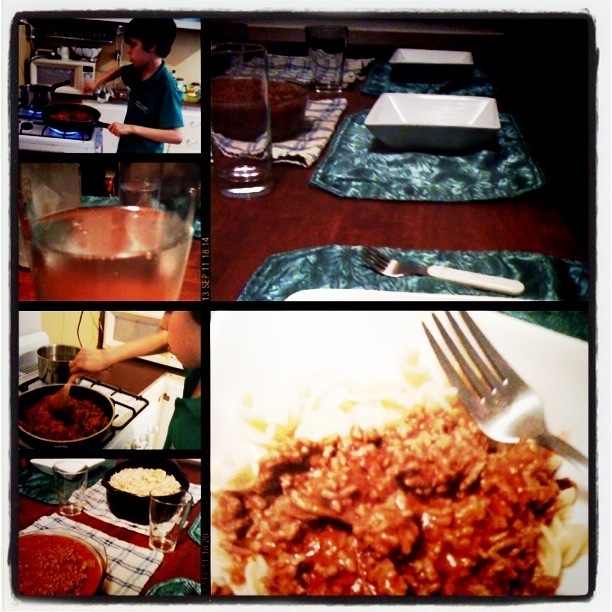 Erik cooked dinner for us - Spagetti Bolognese. 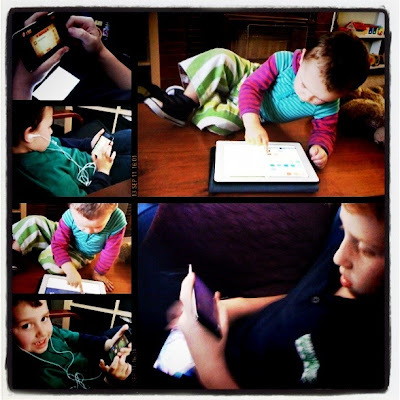 Beautiful photos of your family ! That Spag Bol looks absolutely delish ! Yummy! Spaghetti Bol is a favourite in our house as well! I cant wait till our kids a little older to be able to help make it!! love roary bear.. too cute! I love these great storyboards. They tell a story very compactly. What app did you use to make them? The Spag bol was yummy! It's a big hit in our household too! Veronica, I was tweevedropping yesterday when Trish (I think) asked for a simply collage widget or something to use on Blogger, and then someone came along and told her about an apps that does collages called "My week in pictures" that you can get in the App store. It'll suggest a layout for you, but you can swap photos out (must be from the past 7 days though). I did that, and then I sent the collage to instagram to give it a filter finish (because I do love filters, hahaha!)... I love how it looks - so expect a lot more on here! Your storyboards are beautiful, my kids would love that. Love that your son is making dinner! looks delish and love the pics of your little one and the teddy - so sweet!!!! Cute teddy, love the storyboards! Good ole spag bol my kids love it. Lovely photos. I love the finish on them as well. Hmmm...I must show my eldest the picture of your son cooking - she might be inspired to try this herself! There is really nothing to the cooking; he just uses mince, bottled sauce, boiled pasta... He does light the stove himself, times everything himself etc. but doesn't have to chop anything and gets one of us to lift heavy pot of boiling water and pasta when it's done (because he's still only 150cm and 30kg, not big or terribly strong and we don't want scalding!). He seasons to taste. Both my bigger boys cook (they're 12 and 10) - spag bol, chilli con carne, curries, tuna mornay, eggs and beans on toast, soup etc. Nothing glamourous or requiring fine chopping of anything with very sharp knives (that's my personal fear)... We started teaching the 10 year old at age 7-8 because he was interested. The 12 year didn't start until earlier this year (was 11 then) but caught on quickly because he was interested. Gosh I love natural kid pics *sigh* They are just so... I dunno.. I just love them! My kids are such posers I can never get any! Thanks, yeah, Bryn (in the middle frame with the big brown eyes, grinning directly at the camera - is going through a very pose-y stage... LOL, I have been known to "direct" them to look away from the camera, too, though, hahaha! 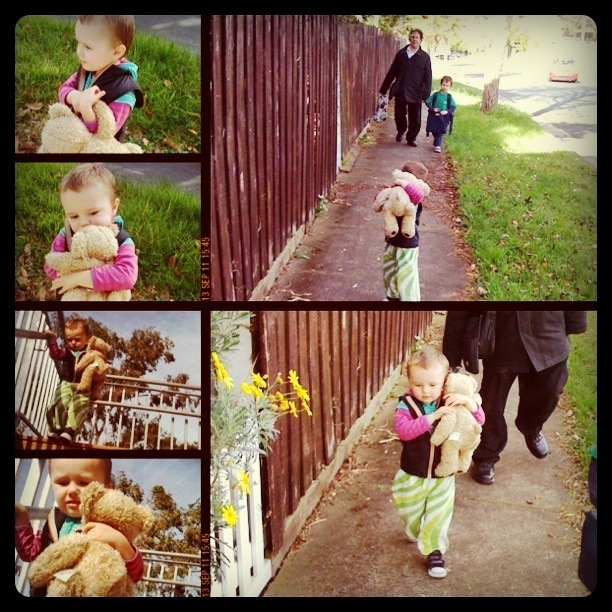 That is a very lovely teddy, no wonder he's held so dear. Really like your washes Sif. I can't wait till my kids can cook me dinner hehe. Agree, the storyboards look great. And, gotta love the spaghetti bol. What a gem you have there - I'm inspired to do more dinner-type cooking with my kids. Lovely photos :) Spaghetti bol is a favourite here too. Groovy....Imma getting that collage app! Oh, you are so lucky to have someone cooking you dinner!